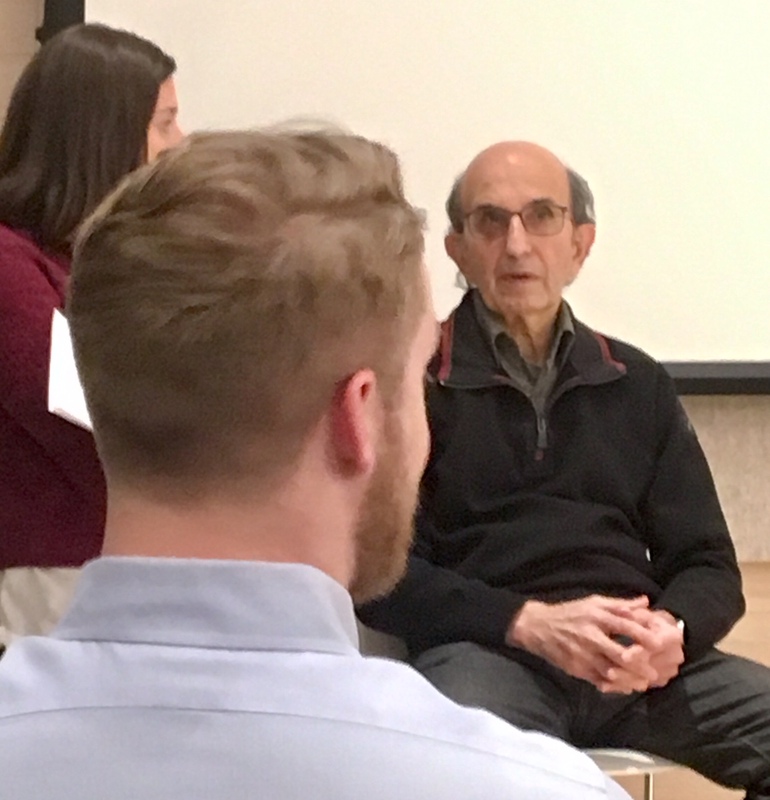 Recently, I joined about 50 New York City reform-minded educators who had gathered at Teach for America’s headquarters in downtown Manhattan to hear Joel Klein reflect on his years as New York City schools and his thoughts on education. The discussion was being led by Taylor Chapman, a TFA alum. And the questions were gleaned mostly from those submitted, in advance, by participants. I had heard about the event from a New York City principal who agreed to invite me as his guest. When we registered, the principal, David Baiz, asked me if there was a question I would like to ask Klein. I replied with the following: How did Klein feel about his legacy—what was he most proud of, what would he do differently—especially in light of the policies of his successor? This would be the second question of the evening posed to Klein. And the former schools chancellor’s response, at first, surprised me. However, Klein quickly followed with what he was most proud of: Opening 200 charter schools. And, where he saw the biggest problem in New York City schools: The teachers union “polarized” the teachers. Over 10 years of covering the Bloomberg-era reforms, I’ve come to believe that Klein really was committed to giving poor kids, especially in minority communities, opportunity. I saw how the schools for poor kids benefited when their principals managed to win Klein’s attention. Bureaucratic obstacles were swept away. Money materialized seemingly by magic. Competition is good; unions are bad. Klein sees no contradiction in his purported support for public school teachers, and the very unsupportive policies that undermined his ability to win their trust, including his relentless opposition to the union, which via programs like PROSE has been trying to develop precisely the sort of flexibility that all but the most ideologically inclined anti-union folks say is needed to give schools and principals the flexibility they need to pursue improvement. While some of the best charter schools throughout the country are unionized, the vast majority eschew unions, a key reason why Klein and other reformers love them. Never mind that many of these institutions—including such Klein favorites as Success Academy—have terrible teacher retention rates. Most importantly: Klein’s ideological blinders prevented him from positioning the Bloomberg reforms as part of a school-improvement continuum that began with the decades-long teacher-driven reforms that came to be known as the “Miracle in Harlem.” It was here—not in the Klein/Bloomberg administration—that the small-schools movement was born in the mid’ 1970s, in District 4, under Tony Alvarado, Debbie Meier, and dozens of progressive educators who followed their lead. In reinventing the wheel, Bloomberg/Klein managed to alienate many of the pioneers who had seeded the revolution in the first place. Thus, the love-hate relationship between Klein and NYC’s progressive educators always leaned more toward hate and, at the end of Bloomberg’s three mayoral terms, there were not enough educators willing to defend the most positive reforms associated with his administration, which in turn, helped pave the way for the anti-Bloomberg backlash under Carmen Farina, DeBlasio’s schools chancellor. What shone through was Klein’s passionate and entirely uncritical support of charter schools. Again, missing from the discussion was any acknowledgement that there are small New York City schools in poor neighborhoods that are so good and innovative, white parents are not only willing to send their kids, but the schools have become magnets for middle-class white families. So much so that some now reserve seats for English-language learners and children with incarcerated parents in order to remain integrated. Many were founded by Alvarado/Meier protégés. Education technology got a brief mention during the Q&A with Klein. “Edtech can be a helpful tool, but you’re not going to put a kid in front of a screen and check back with them when they are ready for Harvard,” said Klein who left the New York City education department to lead News Corp’s failed education-technology venture, Amplify. He recently joined a health-insurance start-up . “If you can’t assemble a team, you can’t run a school,” countered Klein. “The idea of a bureaucracy that functions like the Wizard of Oz” pulling strings behind a curtain, makes no sense, he added. It was at this moment that Baiz, the principal who had brought me to the event, turned to me and gave me a knowing look. I’ve written about Baiz here and here. Baiz had been rescued from a dead-end job at a dysfunctional school in the Bronx, where he had received an “unsatisfactory rating,” when he was hired to help launch Global Technology Preparatory, a new District 4 public school started under Klein. There, Baiz blossomed as an award-winning math teacher, tech guru and teacher leader, and was tapped to succeed Global Tech’s founding principal Chrystina Russell when she left the school in 2015. But, under a new Farina-appointed superintendent, Alexandra Estrella, Baiz quickly realized his days at Global Tech were numbered, despite the school’s strong quality reviews and ratings. The first sign came when Estrella vetoed Baiz’s choice for an assistant principal, a decision, he says, that would never have happened under Klein. Then, he was turned down for tenure and received a “developing” rating—the second-lowest on a four-point scale—on his latest review, even though the school got an “excellent” for school leadership on its NYCDOE school quality report, and a “good” or “excellent” on all other metrics. Under Farina, principals once again live and die by the ratings and rules imposed by supervisors. “Just about now I’m getting real nostalgic for the Klein years,” said Baiz as we picked up our coats and got ready to leave TFA’s well-appointed, modern downtown headquarters. As New York City faces another mayoral election in the fall, three things are near certain: First, DeBlasio, who swung into office on an anti-Bloomberg pendulum, will be reelected, even if his schools chancellor Carmen Farina chooses the moment to retire. Second, Gov. Cuomo and the state legislature, having run roughshod over a hapless DeBlasio during his first year in office, ensured that the city’s charter schools remain as powerful as ever. Third, the most promising aspects of the Klein/Bloomberg legacy, which reined in the bureaucracy to give the best public schools, and their teachers and principals, the leeway to innovate, is pretty much dead. This entry was posted in Charter Schools, Education, public schools, small-schools movement and tagged Alexandra Estrella, Bloomberg, busing, Carmen Farina, charter schools, David Baiz, Debbie Meier, DeBlasio, District 4, English language learners, Eric Nadelstern, Global Tech, incarcerated parents, integration, Joel Klein, John King, network structure, networks, PROSE, school busing, segregation, small schools, Success Academy, superintendents, Teach for America, teacher retention, teachers union, TFA, Tony Alvarado. Bookmark the permalink. It’s strange but not unusual for school reformer$ to either be unable to explain charter school failure or blame their failure on some wildly unrelated issue. Klein blames his failure on the teachers union and not being able to get teachers on his side. If you force bad policies and practices to improve schools, get rid of teachers for a failed ideology how can you expect them to support you. In New Orleans where charter schools have been horrid failure for more than 11 years we also hear the same kind of illogical excuses for charter failure, one charter operator said that he failed because he had less than 300 students (his school’s state school performance score was the lowest in history). Just as a point of information, in New Orleans there are no teacher unions with a bargaining agreements. The realities are that if you don’t follow best practices you don’t have good schools and if you combine that with making public schools profit centers your are a profiteering off of poor minority children removing any hope for their community. One of Klein’s first actions as Chancellor was to dismantle the suspension process. He claimed that disruptive behavior was caused by boring lessons and that properly planned lesson plans would hold students’ attentions from Day 1. I remember after that fiasco, he designated some schools as “impact schools” which needed special interventions, including armed police, to maintain order. He only followed the lead of his boss Michael Bloomberg who had earlier dismantled recycling because it was costly only to find that sanitation became far more costly without it. The Department of Education is still suffering the damage inflicted by Klein’s being granted authority without bothering to take the responsibility of learning how to do the job. Pingback: CURMUDGUCATION | Mister Journalism: "Reading, Sharing, Discussing, Learning"
Klein never knew what he was doing and still doesn’t . He’s a lawyer.that has no experience as a principal. He is a pimple on the backside of public education. An embarrassment.